Sprint agreed to pay $2.97 per share for remaining shares of Clearwire that it does not already own. The deal, has been accepted by Clearwire's Board of Directors, equates to a total payment of $2.2 billion for the outstanding 50% equity stake, and results in a total Clearwire enterprise value of approximately $10 billion, including net debt and spectrum lease obligations of $5.5 billion. Sprint said itss Network Vision architecture will be able to take full advantage of Clearwire’s complementary 2.5 GHz spectrum assets, while achieving operational efficiencies and improved service for customers as the spectrum and network is migrated to LTE standards. “Today’s transaction marks yet another significant step in Sprint’s improved competitive position and ability to offer customers better products, more choices and better services. 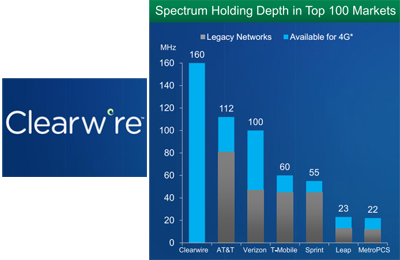 Sprint is uniquely positioned to maximize the value of Clearwire’s spectrum and efficiently deploy it to increase Sprint’s network capacity. We believe this transaction, particularly when leveraged with our SoftBank relationship, is further validation of our strategy and allows Sprint to control its network destiny, stated Sprint CEO Dan Hesse. Also in October, SoftBank announced plans to invest $20.1 billion to acquire a 70% in Sprint. The deal consists of $12.1 billion to be distributed to Sprint stockholders and $8.0 billion of new capital to strengthen Sprint’s balance sheet. The investment aims to accelerate Sprint's next generation network and its competitive position as the No. 3 U.S. mobile operator. For Softbank, this represents a major leap beyond its home market of Japan, where it is the No. 3 mobile operator and No. 2 wireline broadband provider. The companies hope to get the deal done by mid-2013, pending regulatory approvals. As of October 25th, Sprint’s Network Vision program had over 4,300 cell sites on air and the number either ready for construction or currently being updated had more than doubled in the last three months to more than 13,500. Sprint had completed leasing and zoning permits on more than 20,000 sites. Weekly construction starts were up over 250 percent from the second quarter but the company expects to bring 12,000 sites on air approximately one quarter later than originally planned. CAPEX reached $1.5 billion in the quarter, compared to $760 million in the third quarter of 2011 and $1.2 billion in the second quarter of 2012. As of the end of Q3, Sprint had LTE available in 32 cities and expects to add 115 additional cities in the coming months. 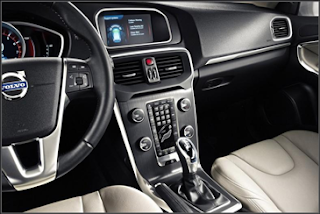 Volvo Car Group has selected Ericsson to provide systems integration and managed services for a global cloud delivering information, navigation and entertainment to its new cars. Ericsson's Connected Vehicle Cloud will allow drivers, passengers and the car to connect to services available in the cloud. Volvo plans to establish agreements with content providers such as Internet radio providers, road authorities, cities' governments, toll-road operators and others. "This partnership is evidence of the transformation across our entire society as we move into the Networked Society. Drivers want services that technology makes possible, in real time and in the context that fits them personally. Our skills in System Integration and Service Enablement will match Volvo's strategy," said Per Borgklint, Head of Business Unit Support Systems, Ericsson. T-Systems, the systems integration business of Deutsche Telekom, will be simplifying its organizational structure from four business areas to two: Sales and Delivery. T-Systems said it is taking this approach to improve agility in helping its enterprise customers adapt for the cloud. In October, T-Systems began construction of Germany's largest data center -- a massive facility that will be built on a surface area the size of approximately 30 soccer fields (i.e., 150,000m2) in Biere, Saxony-Anhalt. The new facility, which will be the 90th data center operated by T-Systems , will be a twin of another data center already running in Magdeburg. The new construction in Biere will form a "TwinCore" -- in the event of any disruption, the twin facility can immediately take over. 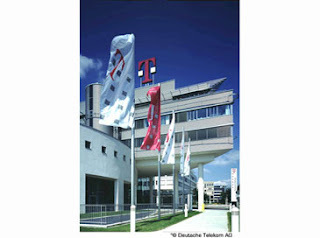 Deutsche Telekom said it is seeing high interest in colocation and cloud services. Some 600 corporate customers use these new IT services offered byT-Systems, including internationally active groups such as Shell and Daimler. Data protection and fail-safety are key services. T-Systems is using 22 data centers specifically for cloud services. Zayo Group has extended its fiber-based services to all CoreSite data centers in nine markets throughout North America. 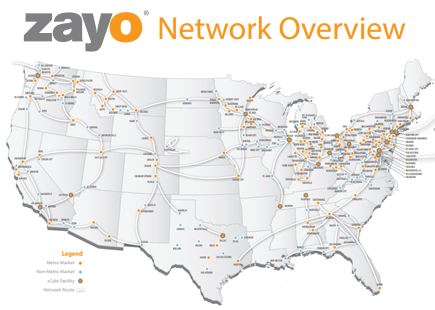 Zayo's 67,000-route mile network connects sites in 231 markets on dense metro and intercity fiber assets. CoreSite's data centers offer 2,000,000+ sq. ft. of capacity. Blue Coat agreed to acquire Crossbeam Systems for an undisclosed sum. Blue Coat specializes in web security and optimization while Crossbeam supplies scalable network security systems. Crossbeam is best known for its X-Series network security platform or network operators. The company is based in Boxborough, Mass. and has more than 200 employees worldwide. In November, Crossbeam Systems was acquired by Thoma Bravo, a private equity firm, for an undisclosed sum. Thoma Bravo currently manages a series of private equity funds representing almost $4 billion of equity commitments. In software, Thoma Bravo has completed 54 add-on acquisitions across 25 platform companies with total annual earnings of approximately $1 billion. 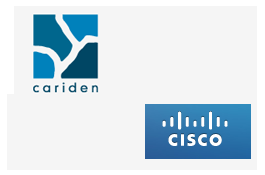 Cisco completed its acquisition of privately held Cariden Technologies, a provider of network planning, design and traffic management solutions for telecommunications service providers, for approximately $141 million in cash and retention-based incentives. 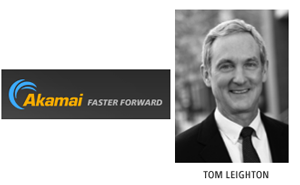 Dr. Tom Leighton, Akamai's co-founder and Chief Scientist, will succeed Paul Sagan as the company's CEO. Sagan announced earlier this year that he intended to step down. Leighton has been the technological visionary at Akamai since its founding in 1998. Prior to founding Akamai, Dr. Leighton was a Professor of Applied Mathematics at MIT and a member of MIT's Computer Science and Artificial Intelligence Laboratory (CSAIL). Dr. Leighton holds numerous patents involving content delivery, Internet protocols, network algorithms, distributed computing, cryptography, and digital rights management. 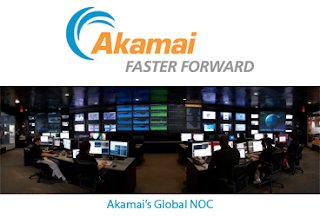 Earlier this month, AT&T announced a strategic alliance with Akamai Technologies to deliver a global suite of content delivery network (CDN) solutions to companies. Windstream Builds Data Center in Durham, N.C.
Windstream Hosted Solutions plans to construct a Tier III enterprise-class data center in Durham, N.C. The new 22,000-square-foot facility (expandable to 88,000 square feet) is scheduled to open in 2013. Windstream Hosted Solutions currently operates two other data centers in the Raleigh-Durham area. the company cites demand for robust cloud computing solutions and managed services. Chelsio Communications, which supplies 10Gb Ethernet adapters, introduced its Unified Wire API for 40G and 100G speeds. The standardized API can run unmodified Fibre Channel and InfiniBand applications concurrently over Ethernet, while future protecting all OEM software investments. All software written to this API will be portable across future generations of Chelsio ASICs. Tunisiana has awarded a four-year contract to Alcatel-Lucent to build a wireline broadband access network. Tunisiana, which is Tunisia’s largest mobile operator and part of the Qtel Group, plans to launch wireline services beginning next year. 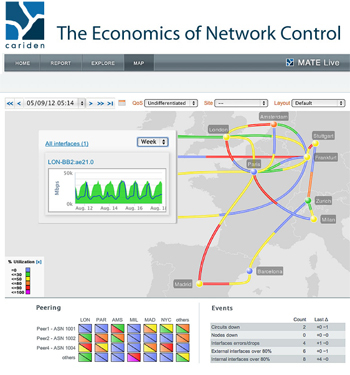 The contract covers designing, building, managing and maintaining the network. Included in the package are Alcatel-Lucent’s GPON and VDSL2 broadband access products, along with its Motive customer experience solution. Financial terms were not disclosed.